Why are LPS the Best beginner coral type? How LPS differs from SPS corals, Can I try SPS Corals? Which are the best corals for a beginner? The ocean houses millions upon millions of LPS, SPS and other types of corals that co-exist all over the world. In fact, there are so many species and mutations of corals that it is estimated only a small percentage have been documented and photographed. So where does this leave you? The hobbyist who wants an easy coral LPS as we have be told time and time again, corals are ‘hard’. But lets be honest, everyone has to start somewhere. LPS or ‘Large Polyp Stony’ corals are definitely the place to dive right in. 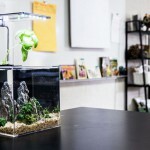 There are hundreds of species of LPS available to be housed in the aquarium. 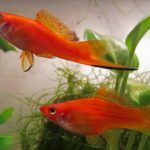 LPS are relatively inexpensive and can add movement and stunning coloration to the aquarium. LPS are the easiest coral to care for by a big margin. LPS need far less care than sea fans, SPS, or other exotic varieties. LPS corals can be easily recognised by their long tentacles, iridescent colors and swaying movement. LPS corals are not born equal, however. Some are more difficult to care for than others. Below we run through some of the easiest varieties to care for and what to look for when purchasing. Before we do that, we will have a small recount of the requirements for keeping corals. Corals are more difficult to keep than most saltwater fish. Period. Fish require stable conditions and low nitrates. 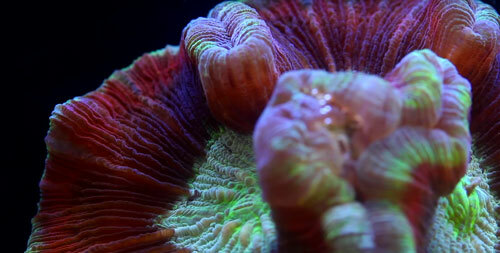 Corals require very stable conditions and consistently low nitrates. The emphasis is clear, corals need stability. Stability, stability, stability. They don’t like changes in salinity, they don’t fare well with temperature swings, they can’t deal with temperatures too low and most certainly not temperatures too hot. But fear not. Many hobbyists have come before you and faced the same perils. It’s better to read this now than slowly watch your brand new coral wither away in the aquarium. And it really isn’t that hard. Lets run through a quick list of what would be ideal to ensure the success of your coral. A nitrate reducing filter medium. 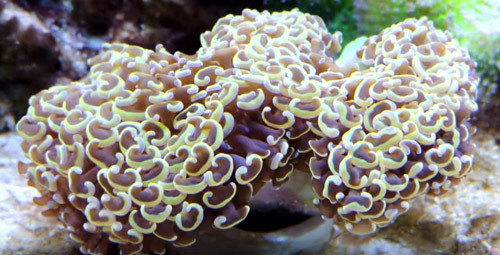 Seriously nitrates are the key to longevity of your coral. A strong light. The stronger the better. I would recommend at least 1-2Watts of power per gallon of water. LEDs are perfect in this regard as they give you more light and consume far less power. The three basic Calcium, Magnesium and Alkalinity supplements. These can be powdered or liquid form. Your new LPS coral will consume these from the water column. The main difference between these two are the size of the polyps, food requirements and light requirements. 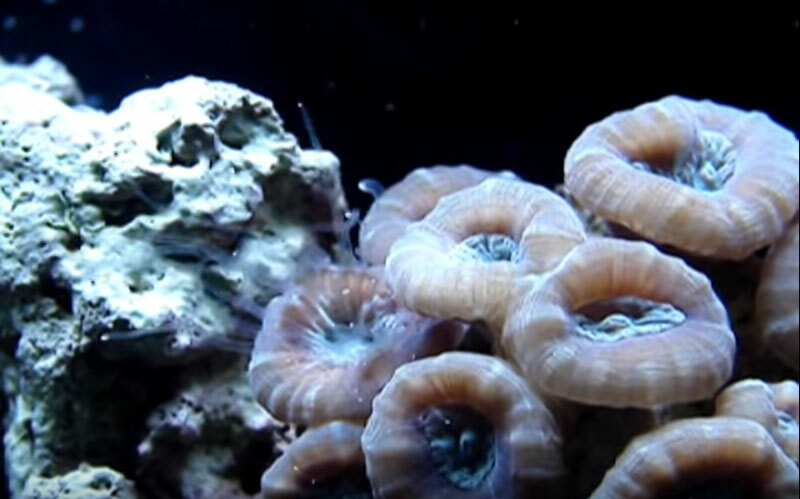 If the polyps are larger it is easier to feed the coral. Its also much easier to fit the lighting requirement. It’s because of the tiny organisms called as zooxanthellae within the tissue of the polyps. 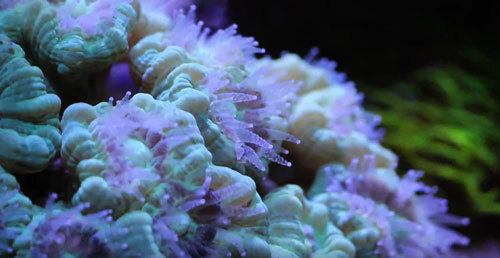 There are several reasons why many aquarium hobbyists prefer the LPS corals over SPS corals. There’s no need to use high powered or expensive lighting equipment. SPS require a very particular and very high intensity lighting schedule. This is probably enough to make most experienced hobbyists shy away. It’s easier to grow the LPS corals in the aquarium when compared to the SPS corals. SPS corals grow, but they grow slowly and they require large amounts of calcium supplement to support their skeleton. This requires consistent testing and more strict scheduling. Lets face it. Maintaining LPS over the long term is that much easier. Especially for your first coral, you want to pick a species that is easy to keep and comes at a low price. Below is a list of the easiest to keep LPS corals which should be chosen by the beginner. Ensure to acclimatise the coral over an appropriate period. These are only the 11 best LPS out of thousands of species. LPS are generally a beginner coral and as you become more experienced, almost all LPS are open to be tried. 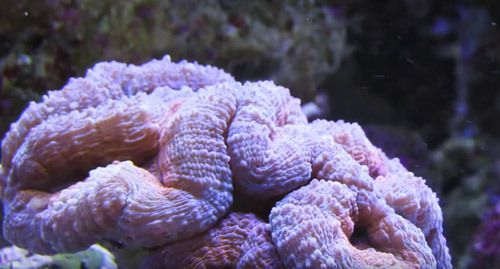 The Open Brain coral gets its name from its unusual shape, similar to that of the human brain. It has bright color, and it needs sufficient light. They can be kept on the substrate and should have ample distance between other corals. They have tentacles that come out at night and attack neighbouring corals! 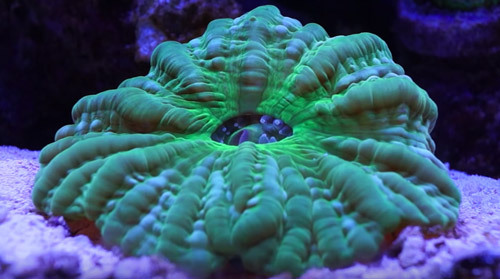 The Open Brain Coral is definitely one of the best beginner corals. This coral is called the Candy Cane Coral because of its orange to red and white striped coloration. They can often be purchased for a very low price and this should be taken advantage of. The Candy Cane Coral is an excellent beginner coral. The shape of this coral is like a small trumpet. 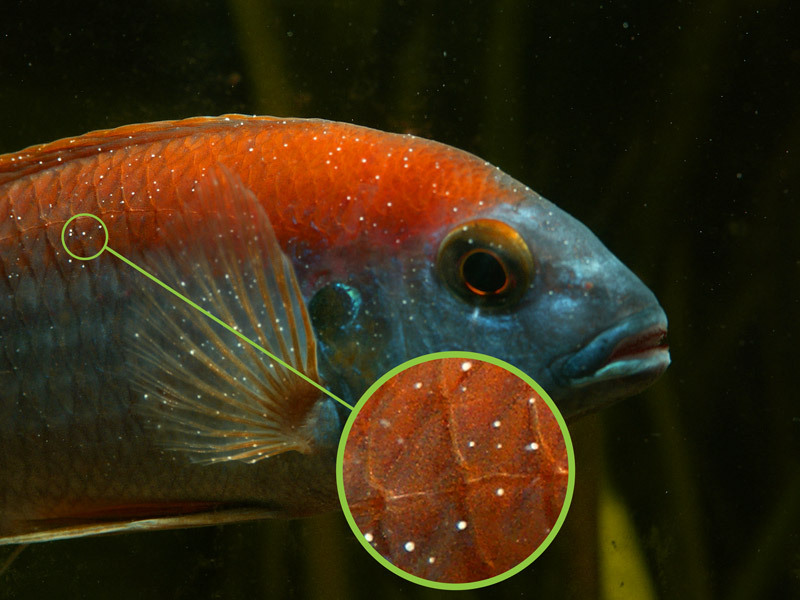 They have iridescent feelers that come out when food is added to the aquarium! They are usually priced in the store based on the number of ‘heads’ on the coral. Choose a coral with at least 3 heads that is brightly colored and responds well to light changes and water movement. The trumpet coral is also an excellent coral for the beginner. 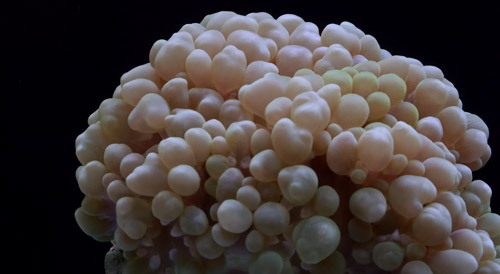 The bubble coral may have a soft and gentle appearance, but it is aggressive toward other corals. Keep it a good distance away from all other corals. The Bubble Coral has large tentacles that extend out at night and attack neighbouring corals. 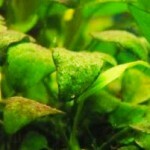 Aside from this they are generally easy to keep and add movement to the tank. Plate corals can also be a little aggressive to other corals. They do best when placed on the substrate of the aquarium. Ensure there is ample distance between the coral and its neighbours (other plate corals are fine, however). They come in a number of stunning colors (green being the most common) and gradually increase in price. 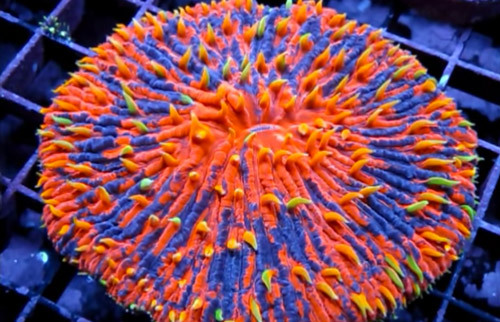 The coral above is a very rare coloration and can fetch a high price. 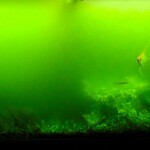 They are easy to keep for beginners and enjoy shallow, brightly lit aquariums. 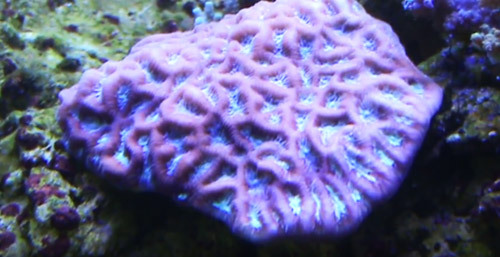 This type of Brain Coral requires sufficient lighting; thus, it should be placed near the surface of the aquarium. Keep it in an area of good flow They come in a range of colors and are usually inexpensive (unless it is a rarer coloration). This is an aggressive species and has very, very long tentacles that it can attack other corals within its range. They usually come in bright greens and purples and are an excellent addition to add color to your rock wall! They too enjoy higher light and will appreciate being placed closer to the surface. Cynarina sp. will live peacefully along with other fish and invertebrates. They are a beautiful soft coral and enjoy living on the substrate. They are ideal for open top tanks where you can look in and see the coral in its full beauty from above. A great beginner LPS coral. The Hammer coral is a little more difficult to keep than the other corals but it is often plentiful and one of the cheaper LPS to attain. Ensure water conditions are kept stable and nitrates/minerals in the water are monitored fairly frequently. 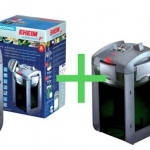 They can be placed together to form hammer walls and add a great deal of movement to the aquarium. If you’re interested to keep LPS corals in captivity, make sure that the tank has a well-established and healthy ecosystem. Start with fish and slowly move into LPS. Read through the requirements and ensure you have the necessary tools to house LPS. Marine Corals can be demanding but they are also very rewarding.